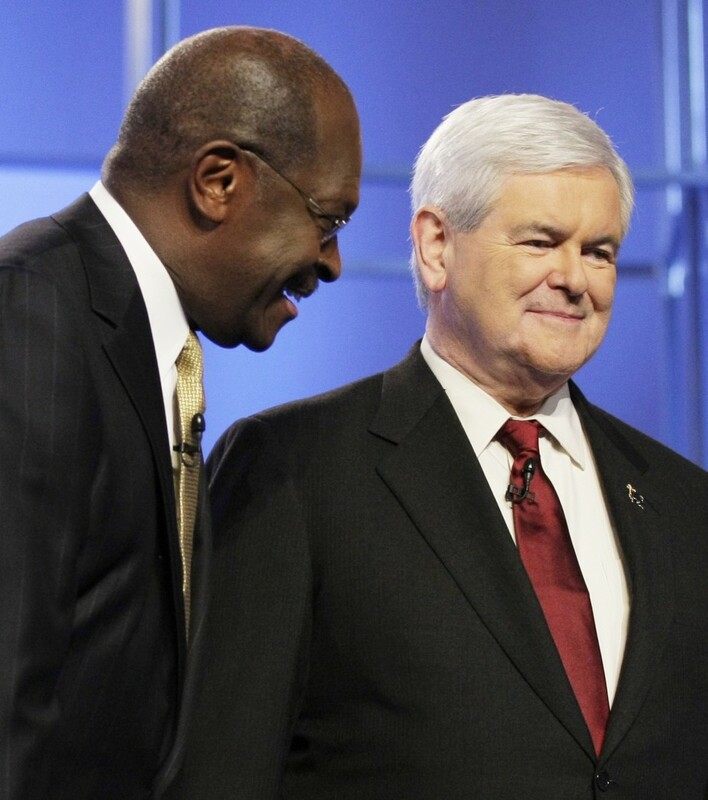 In a stunning turn of events, Herman Cain will not be the next President of the United States. In other news, snorting pixie sticks will not get you high. The one thing that these two items have in common is that a lot of people should have seen it coming before trying it out. So now it’s Gingrich. Oh right, and Romney. It’s like the longest and most asinine game of musical chairs ever. The only problem is that instead of removing a chair each time, they just substitute a person and make them keep playing. Please, can we just make it stop and give Romney the nomination? I know you don’t like him and I know you are afraid the Mormons are going to steal your children but there’s something to be said for having a candidate who’s actually qualified to run. What’s next, Palin redux? …At least not until next year when you’re looking for a middle reliever (presidential candidate) and notice that Farnsworth (Gingrich) is on the market…. I’m a stubborn person. When I get an idea in my head, I latch on and I won’t let it go until I know for sure that it isn’t going to work. This has led to occasional successes in my life but has also ended in disaster. A two and a half year relationship that should have ended at six months is a prime example. For all my mistakes, at least I can say that I’m not as bad as MLB and their unwillingness to give up on Milton Bradley. 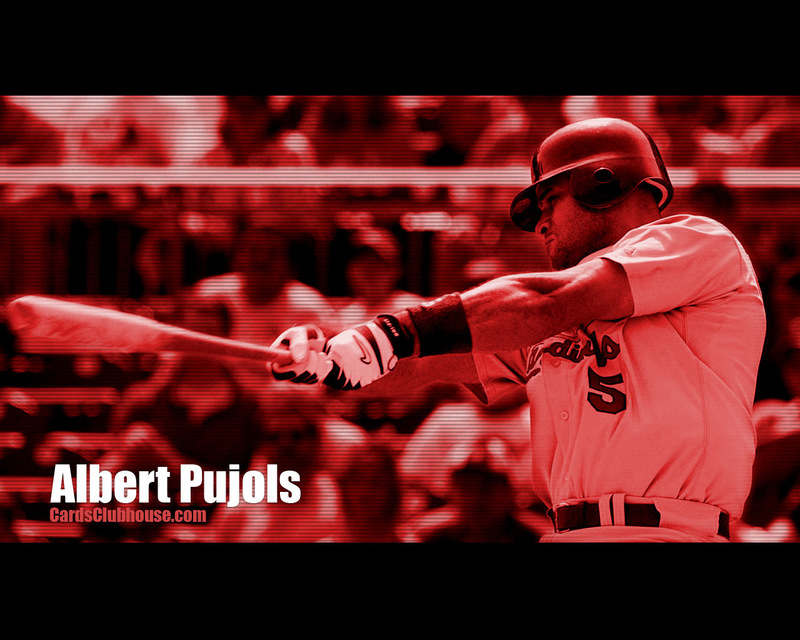 There’s no denying that he’s a talented athlete and could have been something special. Just like any awful relationship, though, managers focused on the flickers of brilliance and ignored all the warning signs. Maybe that has finally come to a close. When the Mariners ended their MB experiment and designated him for assignment, we may have witnessed the end of an era. At the same time, I’m sure most baseball fans experienced the subconscious reaction, “God, I hope my team doesn’t decide to be the next to take a ride on the Milton-go-round.” After enough failed attempts trying to help Bradley get his head right, common sense says there aren’t going to be any other takers. But you never know. 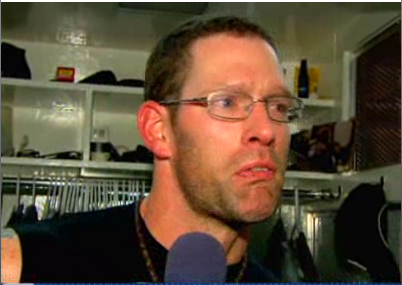 Kyle Farnsworth has a career and continues to achieve new milestones in mediocrity every year. For instance, just the other day Prince Sobs-a-lot issued the first walk-off walk of his storied career. I know, right? I’m as surprised as you are. Most of Farnsworth’s damage comes from his ability to put runners in scoring position (and then push them across) and the danger that his press-conference tears will leave water-marked tables. Bradley, meanwhile, has proven himself to be nothing less than a clubhouse cancer. Let’s hope he stays in remission. ‘Tis the season to yack up ballgames, fa la la la la, la la la AGGGHHHH!!!! Believe me, Mr. Jake, I am really trying to tackle this one without any bias, without any memory of Opening Day in the ‘Lou, without a mammoth-sized chip on my shoulder. But let’s be honest: in baseball, there isn’t much worse than watching your team dominate throughout a game, only to blow it all in the 9th when the win is on the line. My Redbirds managed to do that on Opening Day. The Brewers did too (all credit goes to John Axford). The Mets ran into it last night with Jail-Rod’s shenanigans (Also, his unfettered desire to fight people proves that pitchers — at least this one — have not gotten “soft”… unless the pitcher’s name is Kyle Farnsworth). Hell, ask the 2010 Baltimore Orioles… they know all about losing games late considering they blew more games last year than Lil Kim did Bad Boys in the 90s. But what does it say about the game that teams have become so reliant on the bullpen that relievers can pretty much make or break a season? Gee, I’m not sure it’s really come to that. The ’08 Cardinals were pretty awful, as I remember the bullpen yacking up over 25 games late… but, after giving it the old eye test, I’m not sure it’s really fair to say that the state of Major League bullpens is any different than it has been in years past. You either have a good one, a mediocre one, or a bad one. And even when you have a bad one, that doesn’t necessarily spell gloom and doom for one’s team. 2009 Brad Lidge comes to mind; my pedestrian and oft frightened colleague, Mr. Krause probably could’ve done a better job on the hill than Lidge that season, but the Phillies still managed to grind their way to the World Series. Unfortunately, these days, the role of a “closer” and “set-up man” and “7th inning guy” has been magnified because of money. The more money involved, the more pressure. The more pressure, the fewer who can actually deal with it. In fact, for my money, there’s only one closer who is reliable every single day and that man’s name is Mariano Rivera. I think the Yankees could realistically state that their season might rely on Mo’s cutters; but then again, their set-up man saved 40+ last year. And, oh yeah, their all-star lineup doesn’t hurt either. But for the other 29 teams, yeah, it could be a problem. But when your team is in flux — featuring an unsigned future Hall of Famer, a sidelined perennial Cy Young contender, and an All-Star outfielder absent because of an appendectomy — then you got more problems than you can actually stomach right now. The bullpen is just one of many. Don’t hate me. ‘Cuz I’m right. free pimp for your blog? How ’bout just finding out if Mr. Krause knows the Muffin Man… yes, the Muffin Man. What, exactly, is an Irish hangover you might ask? For most people, it’s the same as a regular hangover (dehydration, vomiting, possibly waking up next to a bearded lady), only the sun is still up ‘cuz you started partying at ten in the morning. I know this vid is old, but hell, it ain’t stoppin’ Mr. Krause and I from grabbin’ our firearms to join the hunt. Besides, the mystery of this southern leprechaun is as funny as Kyle Farnsworth is terrifying. And believe me, that’s a lot. At RSBS, we’re critical of the things that go on around us. We’re critical of the things going on in baseball (especially Bud Selig’s machinations and the continued but completely baffling employment of Kyle Farnsworth), we’re critical of events in the world at large and we’re critical of the turn our country has taken in the past couple years. But make no mistake, just because we’re critical doesn’t mean we love our country any less. I spend a lot of my time outside the US and each time I come back, I’m reminded of how great it is. In fact, I don’t think you can truly appreciate the US until you’ve spent some time outside. One of the things that strikes me each time I return is how accepting we are. I have never visited another country where people of all different religions, ethnicity, socio-economic class and so on and so forth live next to each other, work with each other and generally get along with each other. And it would be easy to say that this is just one isolated incident but it isn’t. As I’ve said before, the people who blow themselves up or go on some ridiculous rampage represent Islam about as much as Timothy McVeigh represents Christianity. 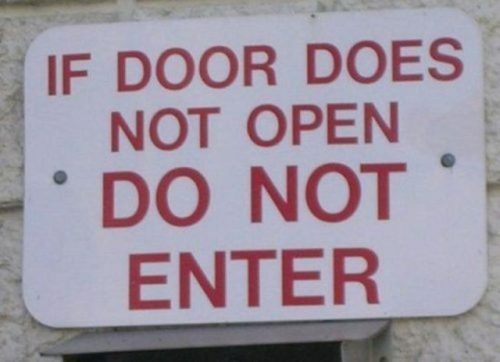 Which is to say that they don’t. I’m not a religious person myself but the Constitution, the document many of these people claim as their justification, codifies the right of any person to worship as they will. You don’t have to like that but you can be civil about it. Civil doesn’t mean picketing and ruining their events, for instance. Do they show up and drink all your wine during mass or or run around naked during your Knights of Columbus dinner? Anyway, I just wanted to make sure I put that out there. The USA is a great country. In my opinion, it’s the greatest country in the history of the world. It would be nice if these douchenozzles could stop attempting to prove otherwise. Note: Apparently the video has been taken down due to a copyright claim by George Collins. We’ll keep looking for a new version so you can see it. In the meantime, here’s a brief background on what happens in the video. A few weeks ago, I ran into Rahm Emanuel at the Roosevelt Red Line stop. I shook his hand, wished him luck in the Chicago mayoral election, then basked in the warm glory that is his presence. Yeah, kinda makes me sick too. But I can’t lie. He had a an insidiously welcoming glow about him. And as I stood there, standing next to (and above, as the man is quite short) him, I couldn’t help but debate myself, asking Well, Jeff, are we on Rahm’s team or no? Then, yesterday, I read *this* and realized the Carol Moseley Underlings and Gery Chico Brigade might have already made the decision for me. Of course, Rahm is Rahm and Rahms don’t go down without a fight. So let’s sit back and watch as time and LOTS OF MONEY are wasted on the proceedings. Call it desperation or call it genius (I’m goin’ with genius, by the way), but the Tamp Bay Rays certainly found a flashy way to fill some holes in their lineup by adding Idiot One and Idiot Two to their roster. On the cheap! Hey, if they could just convince Curt Schilling (and that unstoppable mouth) to suit back up, maybe the Rays will have a real chance at stickin’ it to the Yank Sox again this year! If nothing else they have succeeded in ultimately defying logic: Manny Ramirez will get $2 million while *GASP* Kyle Farnsworth will make $2.7 million! WTF?!?!?!? Say what you want about the Chicago Bears and their NFC Championship performance, but as a Chicagoan, I call out to all fellow Chicagoans to lay off Jay Cutler. For realz.